Very satisfying. A great work. Looking forward to a re-read but want to let it sit for a while. This was written by John. Posted on Monday, October 15, 2012, at 3:17 pm. Filed under Contributors. Bookmark the permalink. Follow comments here with the RSS feed. Trackbacks are closed, but you can post a comment. Finally his bottom-up critique of modern society and how to improve it, will read. To me one of the most valuable virtues that anybody can feel is loyalty. Loyalty to an idea being on top of my list.. In Popper’s “The Open Society and its enemies” book two (Hegel & Marx) he discussed the irrationality of rationalism and says we ought to have faith on rationalism (or open rational institutions); yet loyalty to concrete rationalism would be similar. Or as Popper mentions: Socrates didn’t choose his followers, they choice him. Sometimes little else matters. 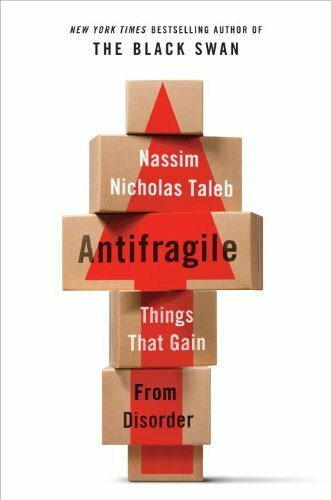 Once again Peter Cotton shows the Soviet-Harvard top-down illusion while Taleb attacks the fragilistas by empirically and philosophically demonstrating that there are tacit and nuance things nature and people do, even if not written, that keeps the bottom-up society together and we need to mitigate fragility. After all not even the Soviets could make a traitor believe that two plus two equals five, now that is silly.